Senior officials say plan is to convert existing consular building to an embassy. The Trump administration is moving faster than expected to move the American Embassy in Israel from Tel Aviv to Jerusalem by 2019, senior officials told The New York Times on Thursday. 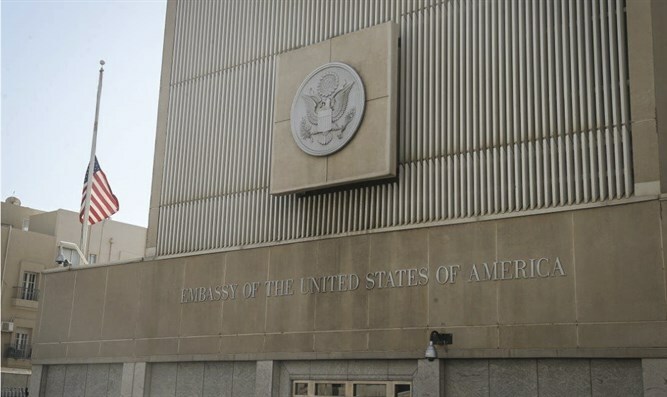 According to the report, the State Department has settled on a more modest plan regarding the embassy move, which would convert an existing consular building in Arnona, a neighborhood in western Jerusalem. That will reduce the cost of the project and allow Ambassador David Friedman and his staff to move there as early as next year, according to The New York Times. The timing of the move has caused tensions between Secretary of State Rex Tillerson and the White House, the report said. Friedman has pushed to move the embassy this year, and Trump’s son-in-law and senior adviser, Jared Kushner, backed him. Tillerson reportedly petitioned President Donald Trump in a meeting on Thursday for more time to upgrade the security of the building, and the president agreed. The Arnona building currently issues visas and offers consular services to American citizens, and would need to be retrofitted for the ambassador to conduct classified operations. The report noted that it is a fairly new structure with better physical security than the embassy in Tel Aviv. The report comes a day after Prime Minister Binyamin Netanyahu told reporters in India that he expects the U.S. embassy to move to Jerusalem within the coming year. "Three things are happening in the U.S. which have never happened before," Netanyahu told reporters in India. "My estimation is that the U.S. embassy move will happen faster than we think. Within the span of a year - that's my educated guess." Trump, however, later rejected that idea, telling Reuters in an interview the move would take longer. ”By the end of the year? We’re talking about different scenarios - I mean obviously that would be on a temporary basis. We’re not really looking at that. That’s no,” he stressed. Trump promised, however, that it would be “a beautiful embassy but not one that costs $1.2 billion,” referring to what he says was the cost of the new U.S. embassy in London. Moving the embassy from Tel Aviv to Jerusalem was a central campaign promise of Trump’s. Last month, he announced that he recognized Jerusalem as Israel’s capital and ordered the State Department to begin preparations for the embassy move. At the same time, Trump also signed another presidential waiver of a 1995 law requiring the embassy to be moved from Tel Aviv to Jerusalem, as all the other presidents before him have done. White House officials explained at the time that Trump signed the waiver to avoid a legally stipulated cut in State Department funding until the new embassy is actually opened. They said that previous presidents used the waiver to avoid moving the embassy, whereas Trump instructed the start of practical work on the mission.